For a long time, Phuket has had the reputation of a party hub gathering young people from all over the world. Still, the island’s main attraction remains its unspoiled natural beauty. If you want to soak up the sun and relax watching the crystal clear turquoise waters, you should not miss to check out the ten most pristine beaches on the island. They are among the top not only in Phuket, but in the whole of Thailand. Let’s take a virtual trip to them. Visitors have described this beach as simply divine. In fact, it’s got TripAdvisor’s Travelers’ Choice Award for the best beach in Thailand. It is not particularly small, but it is quite secluded surrounded by lush green jungle. The soft sand and the quiet warm waters make it perfect for relaxation. You shouldn’t expect to find many people around. You can really unwind fully. One of the top attractions of this beach is the weather: it doesn’t get too hot and there are no winds which can make you feel chilly from time to time. Utterly beautiful and totally secluded, this beach is one of the best kept secrets of Phuket or at least was until recently. Currently, it’s getting greater popularity with tourists, but you will still get the peace and quiet that you crave for. The short path, which will get you from the car to the strip of powdery sand, is challenging for kids so you shouldn’t expect to find many around. Alternatively, you can get a boat to reach it. This beach is long and wide and never gets overly crowded. It is in the center of a small bay so you should expect some breeze, but not strong winds. The water is crystal clear and great for swimming and other water adventures. When the sun gets a bit too strong for your taste, you can find shade under the trees surrounding the beach. One of the really great things about this beach is that it boasts with perfect weather all year round. Seclusion, white sand and blue waters – what more can you possibly want? This beach in Phuket still remains one of the hidden gems of the island simply because it is accessible only by boat. Of course, the adventurous can choose jungle trekking to get there. You will almost feel as if you are at a private beach created just for you. There is practically nothing to ruin the tranquility which this place has to offer. You simply need to relax and enjoy the beauty which surrounds you. You can also go snorkeling to meet the colorful fish living in the waters off the beach. At the north end of the famous Nai Harn beach, you will discover a set of three small secluded strips of sand hidden by granite rocks and almond trees. This is Ao Sane. It is off the beaten track and offers great opportunities for swimming and snorkeling as well as for relaxing under the sun. You don’t need an umbrella to get some shade. The trees right at the beach will do a perfect job. Do not miss to visit this jewel in the crown and enjoy it for at least one afternoon. This beach is not particularly big, but its white sand is like a magnet for tourists. Although the number of boutique hotels around it is growing, you can still find secluded spots. There are plenty of food stalls around you practically have everything which you need. You shouldn’t miss to have a picnic on the beach in the evening and watch the sunset, which is absolutely stunning. It is small, secluded and absolutely romantic. This beach is excellently maintained and offers a variety of activities from kayaking to scuba diving plus some exotic treats like Thai massage. One important thing to note is that the access to this beach is paid. Children under the age of 12 can visit it for free, however. Generally, the reasonable fee should not stop you from relaxing and having fun at this gorgeous beach. 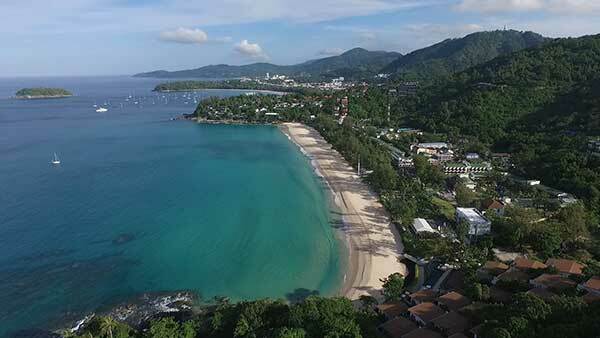 This is one of the longest and most undeveloped beaches in Phuket. It is eleven kilometers long and offers excellent opportunities for strolls and picnics. Whether you want to take a romantic walk or just relax with your family, this beach is an excellent choice. You will hardly meet any people. You may have airplanes flying above your head, however, as the airport is nearby. The water is crystal clear, but swimming isn’t safe at all times. It’s best to stay on the beach. Since this natural wonder is part of the national park on the island, you can visit it as part of an all-day trip. This picture-perfect beach has absolutely stunning views in addition to offering soft sand and warm blue waters. It is well-known to tourists, but practically never gets overly crowded or noisy. There are different activities which you can choose from with snorkeling being one of the most popular options. There is a wide variety of food options too. The beach is excellently developed as a hub for relaxation and perfectly well maintained too. It’s totally worth visiting. If you seek privacy, this is perhaps the best beach for you. It is practically untouched, especially when compared to its counterparts. It will give you the peace and quiet that you seek. There are opportunities for swimming and snorkeling, but if you want to get spoils and lots of amenities, you may consider other options. This beach is more for nature lovers who want to be away from everyone and everything. If you decide to visit it, remember to bring everything which you will need for a day out in the sun. 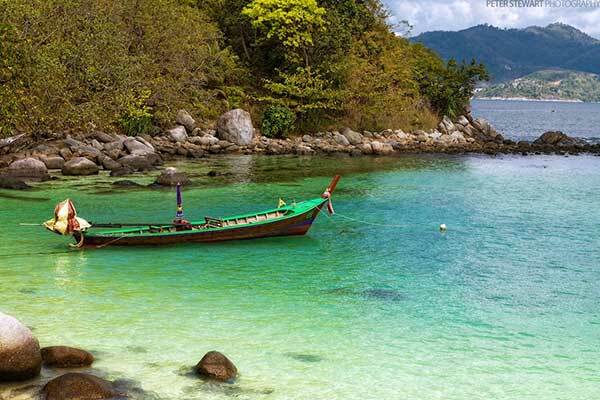 It’s time to explore the fascinating beaches of Phuket and to enjoy all the benefits which they have to offer. Remember to take sunscreen with you!